Atheists Feel Awe, Too : 13.7: Cosmos And Culture Some people of faith claim that the world is meaningless without belief in God or gods or an afterlife. Commentator Barbara J. King says the view of some atheists is mirrored in two recent novels. 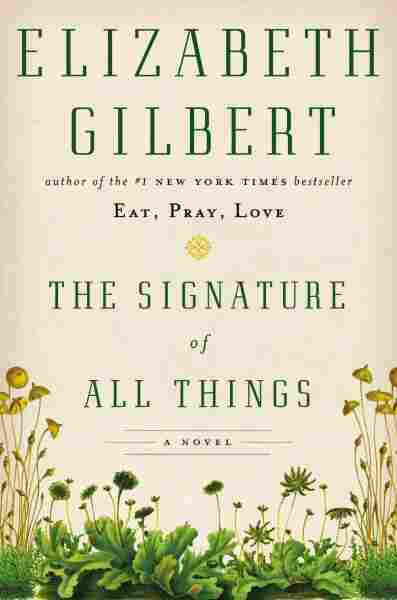 In Elizabeth Gilbert's brilliant novel The Signature of All Things, Alma Whittaker, the central character who was born in Philadelphia in 1800, is destined for a highly unconventional life as a woman in science. Consumed by a love of botany, specifically of mosses, Whittaker grapples with questions that preoccupied many real-world minds of the 19th century, including Charles Darwin and Alfred Russel Wallace as they developed their theories of evolution. How can we understand the astounding variety of life in the natural world? If animals and plants are not after all created and fixed once and for all by God, by what mechanism did so many species arise? "Alma put the magnifying lens to her eye and looked again. Now the miniature forest below her gaze sprang into majestic detail. She felt her breath catch. This was a stupefying kingdom. This was the Amazon jungle as seen from the back of harpy eagle. She rode her eye above the surprising landscape, following its paths in every direction. Here were rich, abundant valleys filled with tiny trees of braided mermaid hair and miniscule, tangled vines. Here were barely visible tributaries running through that jungle, and here was a miniature ocean in a depression in the center of the boulder, where all the water pooled." 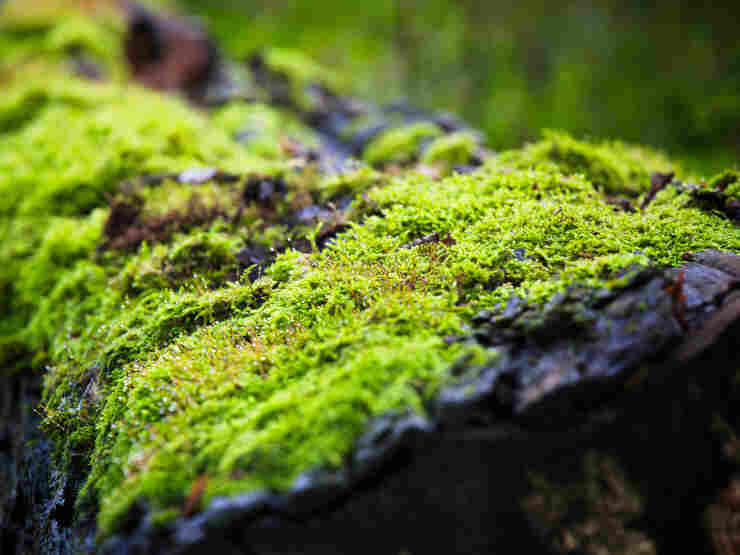 " ... another continent of moss altogether. On this new continent, everything was different. This corner of the boulder must receive more sunlight than the other, she surmised. Or slightly less rain? In any case, this was a new climate entirely." As a result of that slight variation in climate, Alma realized, the mosses in that patch varied from those in the first patch. Years later, and before the 1859 publication of Darwin's On the Origin of Species (an event noted in the novel), Alma comes to grasp something like the process of natural selection. I was captivated by the way Gilbert painted the clamors of the intellect — and of the heart, too — through Alma's character. Another striking passage came in a conversation between Alma and the evolutionary scientist Wallace, whom Alma meets late in her life. Wallace asks Alma if she believes in an afterworld. At first, she demurs, telling him, "I do so try not to say things that make people feel upset." When Wallace presses her, Alma tells him:"
"You see, I have never felt the need to invent a world beyond this world, for this world has always seemed large and beautiful enough for me. I have wondered why it is not large and beautiful enough for others — why they must dream up new and marvelous spheres, or long to live elsewhere, beyond this dominion ... but that is not my business. We are all different, I suppose." Why did this passage strike me so powerfully? I think it's because I have encountered, as have other atheists I know, the persistent view expressed by some people of faith that the world is necessarily meaningless without belief in God or gods or an afterlife. "How can you stand to live in a world without meaning?" is a question many atheists hear in their lifetime. Fictional scientist Alma feels real to me because she finds meaning in the natural world in a way that I fundamentally understand (although it's not mosses that do it for me, but bison and bonobos and bees and almost any other animal). 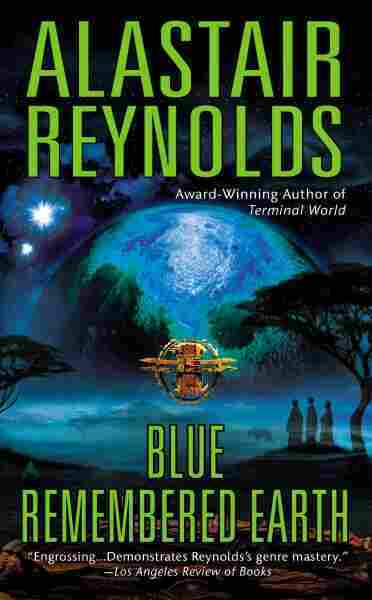 Alastair Reynolds' science fiction novel Blue Remembered Earth contains a similarly striking passage. The ideas here are expressed by a young artist named Sunday — born on Earth and now a resident on the moon — who is making her first visit to Mars. Sunday found the Martian landscape "literally awesome," with mesas, pyramids and other geological formations shaped by "rain and wind, insane aeons of it," forces that have sculpted "deliberate-looking right-angled steps and contours [that] began to assume grand and imperial solidity, rising from the depths like the stairways of the gods." "Awe-inspiring, yes. Sometimes it was entirely right and proper to be awed. And recognizing the physics in these formations, the hand of time and matter and the nuclear forces underpinning all things, did not lessen that feeling. What was she, ultimately, but the end product of physics and matter? And what was her art but the product of physics and matter working on itself?" For both Reynolds' Sunday and Gilbert's Alma, recognizing that they are products of biological and physical forces isn't cause for anxiety about meaningless or despair. On the contrary, that recognition brings them a satisfying sense of connection to the whole universe. Atheists feel awe, too. Everyone does. That wondrous sense needn't be described by invoking the sacred.